Situated on 75 acres of parkland, the buildings have been lovingly restored over the past (35 years by the landlord, a devoted historian.) Hoping to gain redemption for having turned away his daughters, Roger de Mowbray, a powerful Anglo-Norman landlord, founded in «Villers le Quennyvet a women's priory in 1127 A.D. The nunnery was elevated to the rank of Royal Abbey during the XVIIth century and gradually fell into ruin until it was reconstructed Placed in an outstanding location by a pond, Royal Woods, and a Roman Way, the Abbey has maintained an exceptional rural character typical of Cistercian communities with several buildings contained within long enclosure walls: the gate house - remains of the cloister - the tithe barn - living quarters of the monks - vaulted galleries - romantic well ... 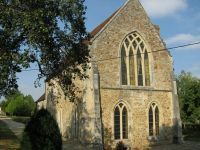 The most remarkable building is the entrance to the Abbey. 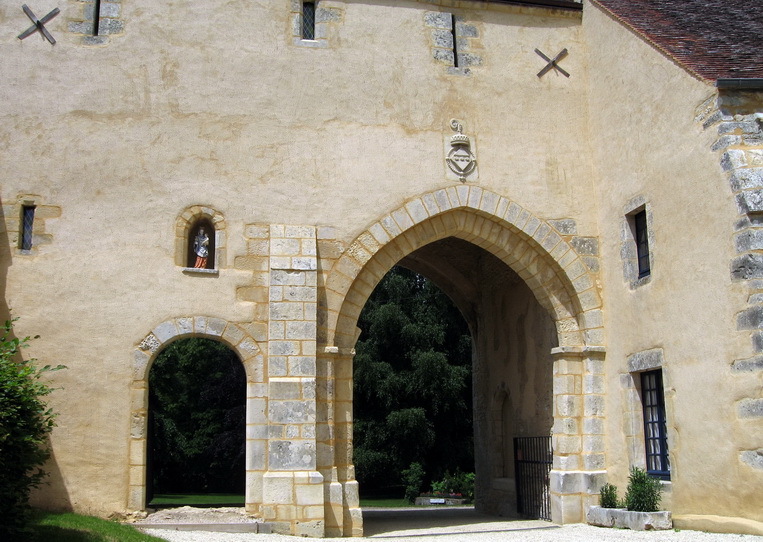 Today this beautiful structure (XIIIth century) with its pedestrian and carriage passages is the only remaining example of a medieval portal of all the Cistercian Abbeys in France! The owners received many prizes for it's restauration. Theatmosphere and charm of the Abbey will make lasting impressions on our visitors.